A residential saltwater aquarium. It’s been on my “design bucket list” for years now. I love catching a “Tanked” marathon on a lazy Sunday, or google-imaging cool innovative ways to incorporate them into a design scheme. Maybe one of these days I’ve have that willing client…. 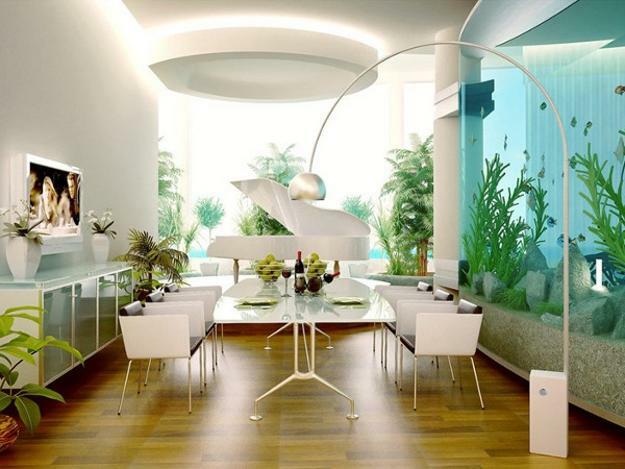 Until then, take a look at how to make a fishtank fit as seamlessly as a piece of art into a design.